It is important to find a balance between focusing on what we want to create and putting limitations on what is possible. Sometimes, we are so attached to a particular outcome or solution, we can’t see that there is something much broader on offer; something that would be high above our own expectations and yet benefit many more people than ourselves. This is when aiming for the highest good of all involved is of utmost importance; especially if we really have no idea what this could look like. We know our thoughts matched with our emotions are extremely powerful; both positive and negative have an enormous impact on our reality. We know that when we focus on one aspect, be it high or low vibrational, we get more of the same. We are waking up; we are seeing what is really possible and in expanding our awareness, we are also expanding our own possibility. We are finally breaking out of the boxes created by childhood, fear, expectations of others and society. We are finally stepping into our own authentic selves. And the Angel Of The Universe is here to remind us that there is no reason to hold back on what we believe to be possible. We are part of a much larger plan; a much larger existence. We are vessels of so much light and we are capable of so much love. In letting go of the restrictions we have placed on ourselves in the past, we open up to an even brighter future. 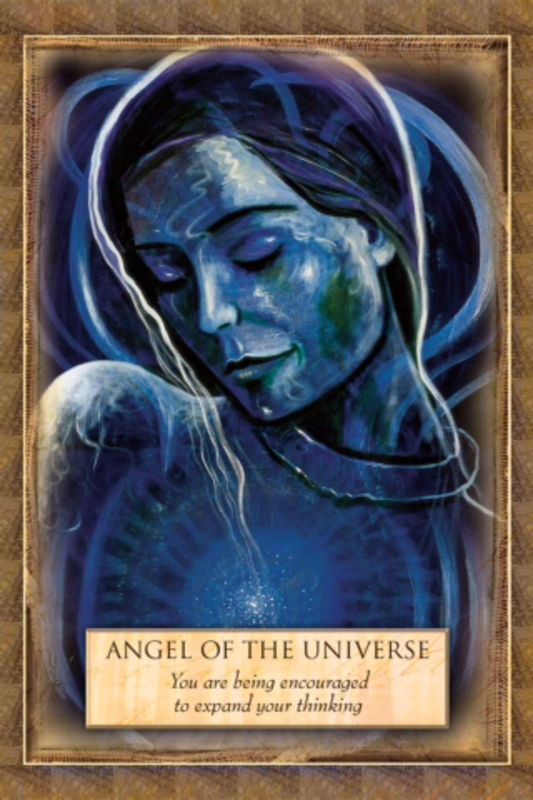 Your Donations Are Graciously Accepted To Help Me To Keep Archangel Oracle Online! Archangel Oracle is not intended to be for profit, but does carry an expense with WordPress, domain cost, etc.